A great way to drum up excitement for an upcoming event or product reveal is with a simple social advertising teaser post on your social media pages. Even with months of planning that takes every eventuality into account, however, even teasers that have every chance of succeeding can end up going so wrong thanks to the power of the internet. Domino’s. A week-long social media campaign quickly fizzled out for Domino’s pizza chains in Australia and New Zealand. After teasing fans through social ads and organic content with the hashtag #gamechanger and promising to reveal the biggest announcement in 20 years, Domino’s would go on to anti-climactically say that square pizzas are now available for purchase with previously unavailable toppings. The complaints from fans were brutal, and the company performed a major social media “don’t” by deleting negative commentary, which only made users angrier. HBO. More than 100,000 Game of Thrones fans tuned into HBO’s Facebook Live stream to learn the show’s season seven premiere date. 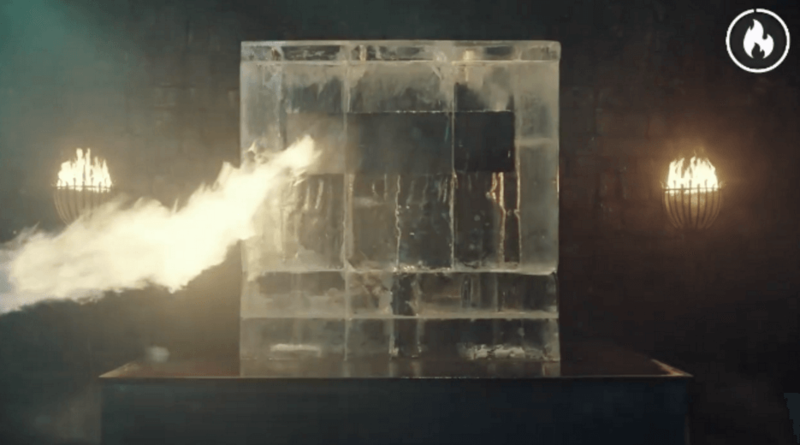 Instead of a brief reveal, however, users found themselves watching a giant block of ice – which they were instructed to melt by commenting on the post with either the words “FIRE” or “DRACARYS” to shoot flames and melt the ice in real time. After more than an hour of waiting and multiple technical difficulties, fans were ultimately disappointed by the stunt, even more so after learning the show had been pushed from its regular April slot to July. Crayola. Crayola planned to announce which color they were retiring from their 24-count box in a big way: with a live Facebook event in Times Square on National Crayon Day. Unfortunately for Crayola, a Target in Marlton, NJ released the box announcing that Dandelion was getting the boot before the big reveal, and the photo evidence quickly made the rounds on social media. 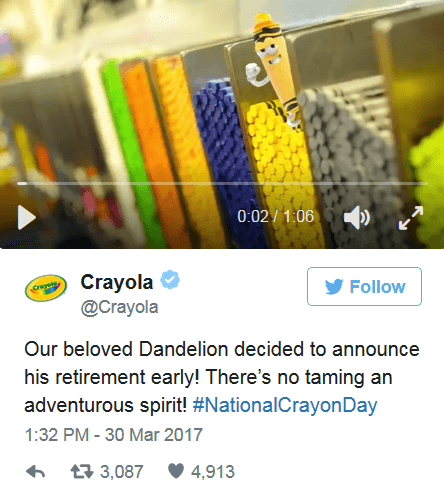 In a move that showed that the brand’s social media team may have planned for spoilers, Crayola made the most of a bad situation, tweeting Dandelion’s retirement early and still sticking to their New York City celebration without the reveal. The initial leak was met with outrage, but continuing with the event, turning it into a celebration rather than a reveal, and having back-up posts at the ready helped dull the noise very quickly. So, what can we learn from these social media snafus? If things have gone wrong with your social strategy, don’t panic and hastily put something out on the internet that could further hurt the situation. Instead, own up to your mistakes and plan ahead of time for spoilers. Making the best of a less-than-ideal situation will reward a brand rather than have it dragged over the digital coals.